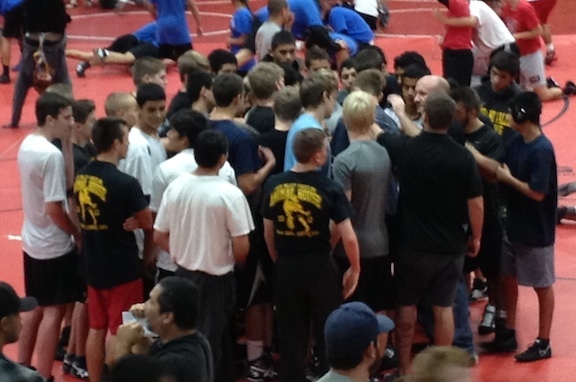 We had a great turnout this past weekend at the San Clemente scrimmage. 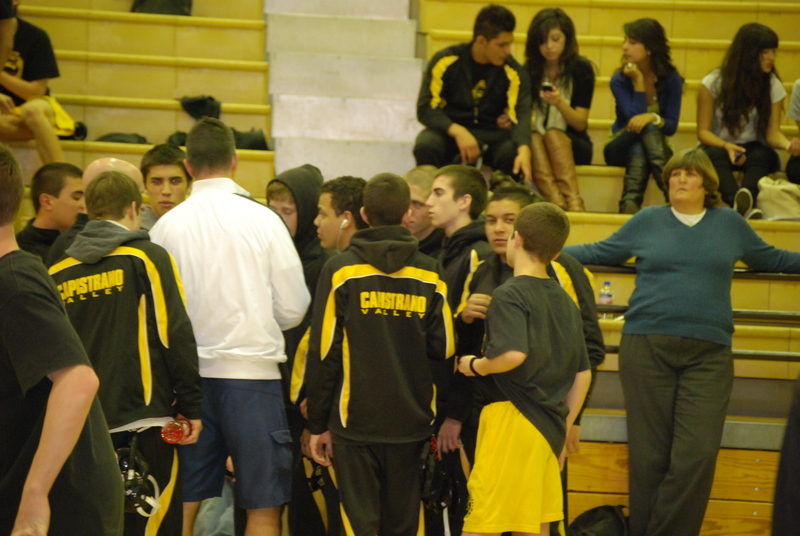 Most of the team showed up and got in at least 6 matches each with Jonny Gutierrez and Mike Logan tapping out at 13!! Way to go guys. Schools from all over SoCal participated and it was great exposure for the team. Check out all the hard-core wrestlers out there. *Check out highlights of the Penn St.–Iowa dual. #8 Iowa upset #1 Penn St. at Penn St. Also check out the crowd before the dual. Some are already calling it the “dual of the decade.” Probably overshooting things a bit, but still, it was electric. Notice how hard these guys wrestled, and how hard nosed the Iowa guys were. 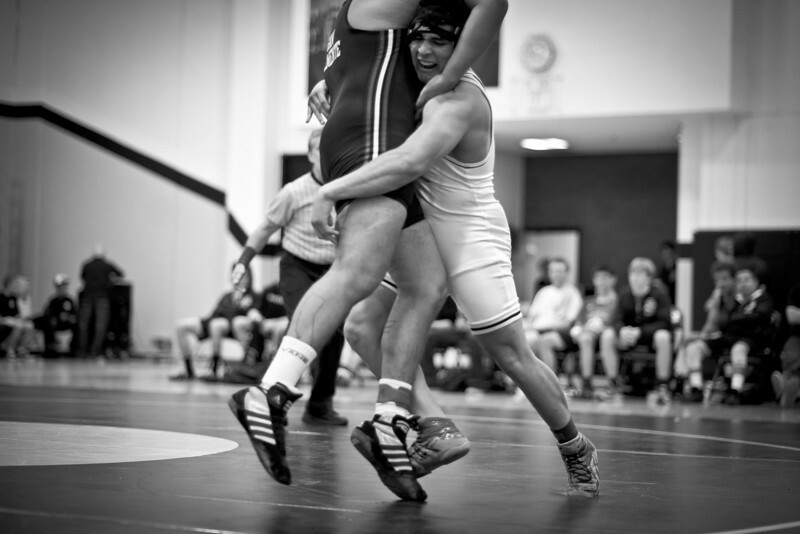 It’s wrestling like that that’ll bring fans into the gym…when you get after it on the mat, score like a machine, and don’t let up, that’s exciting. Check out our very own principal in the background, Deni Christensen, supporting the boys at our senior night dual the other week. We appreciate your support and presence, Mrs. Christensen! Also, did you guys know I promote reading? Yeah, I do. If you aren’t reading, one day you will call someone who does “boss.” Ergo, here’s a little homework for you. Check out the following online paper: Unskilled and Unaware of it: How Difficulties in Recognizing one’s Own Incompetence Lead to Inflated Self-Assessments. It is interesting. PS–lineups for this week will be posted on Tuesday. Meet schedule has been revised to include locations where it was vague.